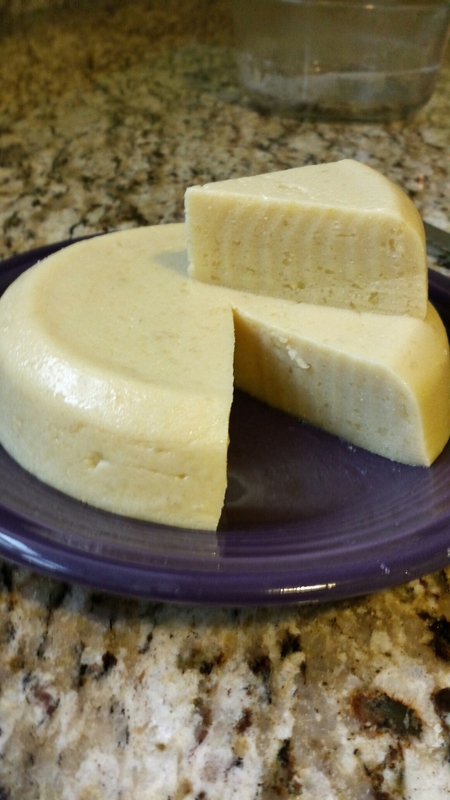 Since I’ve been spending more time at home, as I only work part time since the birth of my baby, I’ve been experimenting with different recipes for vegan cheese. As much as I love Daiya, it gets expensive, even with coupons. I’m a big fan of Vedged Out’s foxy moxy mozzarella, but I wanted something that held up to slicing and grating. I tried a recipe with cashew cheese, but without investing in a Vitamix blender (hint hint family members:Christmas is coming) the consistency was too grainy for my taste. I stumbled upon Sweet Root’s coconut milk cheese and had it bookmarked for about a week until I finally gave it a chance. It uses a few odd ingredients not found in your average pantry, but after the initial investment, you can make this recipe multiple times. 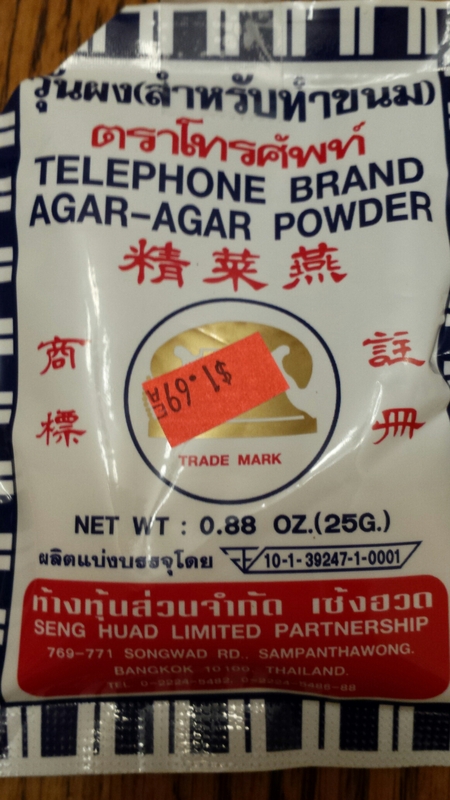 I found my agar agar powder at the local Asian grocery store in a tiny packet, but if you can’t find it, it’s available on Amazon and at most health food stores. I also picked up the coconut milk and tapioca starch there. 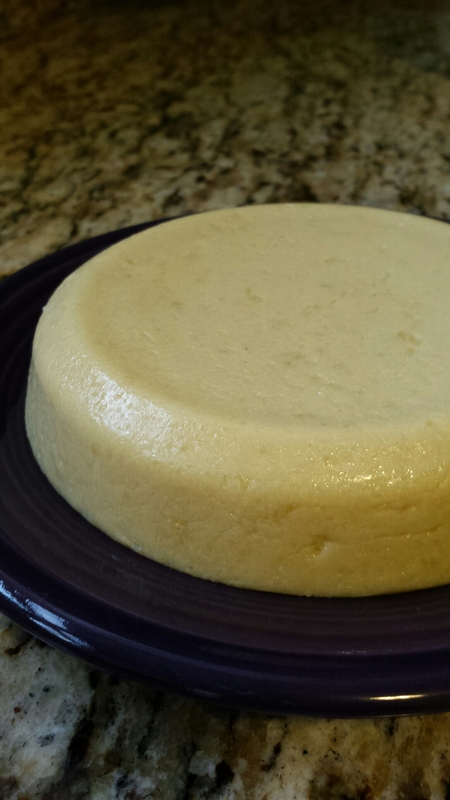 Try to find the highest fat coconut milk you can, as it will give a closer mouthfeel to real dairy cheese. This is definitely not a recipe for your can of low fat coconut milk. I also try to stick to a brand that is only coconut milk and water, like Arroy-D or Thai Kitchen. I use a tiny amount of black salt (Kala Namak) in my version of this cheese. I originally bought it on Amazon for our tofu scrambles because it has a very authentic, sulfuric eggy flavor. Seriously, don’t stick your nose in there, you’ll regret it. If you don’t have any/don’t want to buy any, just use 1/4 tsp more of regular salt in the recipe. 1. Heat coconut milk in a medium saucepan until no longer separated and bubbling. Stir in agar agar, both salts, and cider vinegar, and bring to a gentle boil for about 5 minutes. 2. 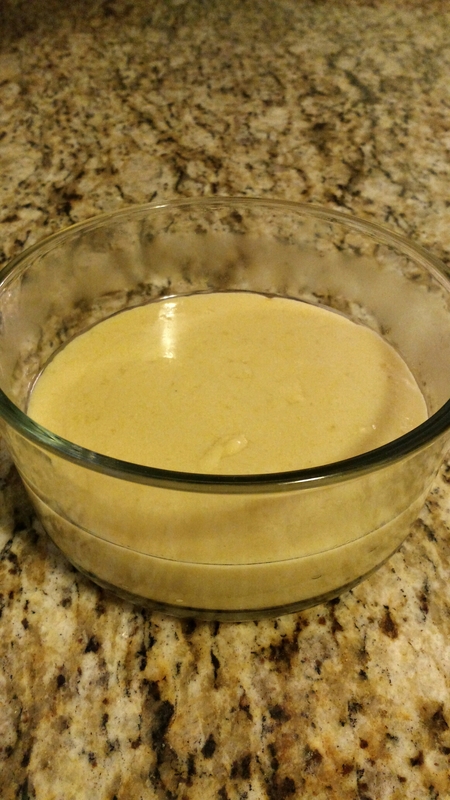 Stir in remaining ingredients, adding tapioca starch last. Whisk constantly while adding the tapioca starch, and continue heating until mixture thickens and pulls away from the pan. 3. Pour into a bowl, mold, or single serving containers. 4. Refrigerate for two hours or overnight. Here’s how it looks after a few hours. It’s slightly firm, almost the consistency of a cheddar cheese. It slices easily and can be grated if frozen. The first time I made this recipe, I used 1.5 tablespoons of agar agar and made the mistake of not letting it get to a full boil. The result was still a good cheese, but closer to a brie consistency. I realized my mistake later on, but we really enjoyed the first batch on crackers and with apple slices. 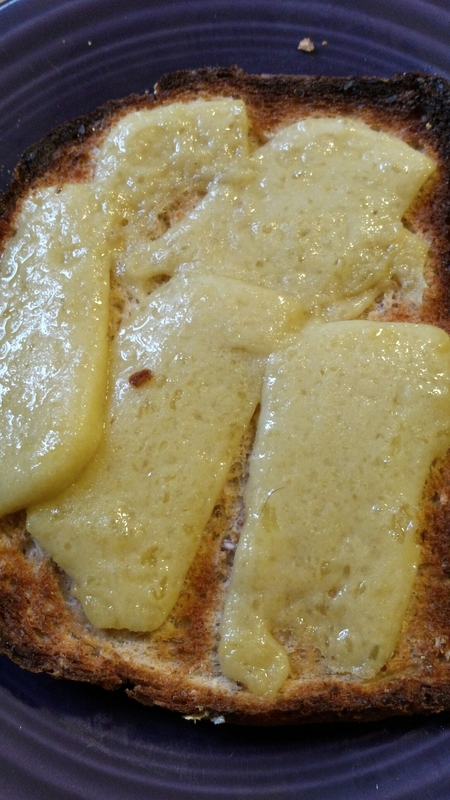 It melts great (please ignore the burnt edges, it got forgotten under the broiler) and even has a bit of stretch. We’re really loving this cheese. If you wanted to make it more like cheddar cheese, I would add a tablespoon of tomato paste and a dash of turmeric for color. We use this on nachos, pizza, lasagna, pretty much every application for melted cheese. I would suggest eating this with a nice porter, specifically Stone Smoked Porter, especially if you add the liquid smoke. I’m glad I was able to share this recipe, I hope you give it a try! Is black salt 100% necessary? Not at all, I added it in the second batch and we liked it, but if you don’t have any it’s not a huge deal. This looks incredible! Cheese has been one of the hardest things for me to give up. I saw your comment on Bianca’s lasagna recipe, which I’m hoping to make this weekend. May need to make this for on top! And I actually just saw black salt at T.J. Maxx of all places! I was intrigued, and I remember Alton Brown talking about it on one of his episodes of Good Eats, but I couldn’t remember what he said it tasted like. May need to swing back over there tomorrow to grab some. 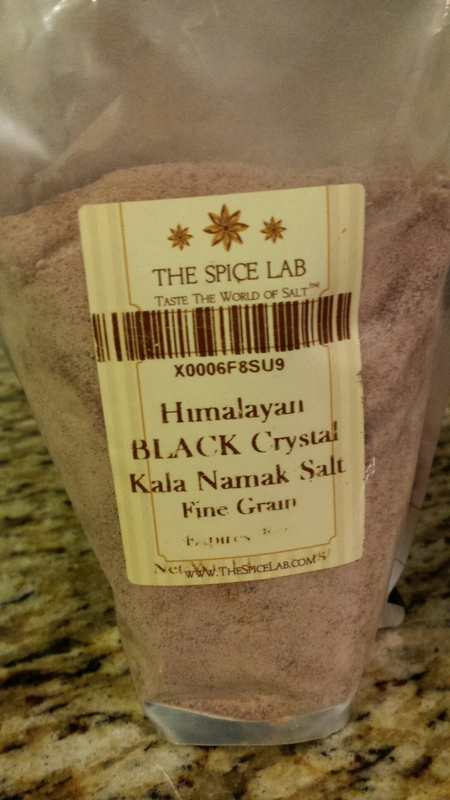 Hopefully it’s kala namak and not just black colored salt, apparently there’s a difference between the two. I hope you do try it, it’s fantastic on lasagna and pizza – you can grate it on top if you freeze it! Anything you’d recommend instead of tapioca starch as I can’t get it where I am? Could I use a different type of vinegar? Allergic to apples. Thanks! Sure thing! Try coconut or rice vinegar instead! It tastes amazing. It really tastes like dairy. I enjoyed it very much and it’s my go to “cheese” now. Sounds very good, I’ll try it soon! Just one thought: normally agar agar will only hold its liquid for 1-2 days, before it starts to liquify again. How is your that with this vegan cheese? Sounds very good, I’ll try it soon! Just one thought: normally agar agar will only hold its liquid for 1-2 days, before it starts to liquify again. How is your that with this vegan cheese? And how much coconut milk does your can contains? Because here you have different can sizes. Thanks. I’ve never had a problem with agar powder liquifying on me in any recipe over a period of time, this is actually the first I’ve heard of that. I’ve definitely kept this for up to a week and it has maintained its shape. Our coconut milk comes in 15 ounces cans. Does that mean 1/4 tsp combined? Or 1/4 tsp garlic powder and 1/4 tsp onion powder? But a very nice job, this recipe! The original recipe calls for coconut milk, which is higher in fat than either of those. This would probably affect your melting. 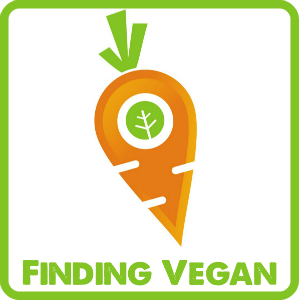 do you think carrageenan would work in replace on the agar? Definitely, I’m not sure how much you would need to use, but it should work. Thank you for posting this recipe 🙂 Could you please answer the question asked by Russell (see above), where he asked for clarity on the onion/garlic powder? It would be quite helpful if you separated those into two separate ingredients, and specified how much garlic power and how much onion powder. If you are referring to a blend of the two powders, is that a 50/50 mix? Also, in a similar way, could you please specify how many millilitres (or cups) or coconut milk is to be used? It cannot be assumed that all cans are the same size in every country. I am writing from New Zealand. It is 1/4 tsp of each. The can I used for this recipe was 165 ml. Thank you for that information. I’m glad I asked about the coconut milk, because the overwhelming number of coconut milk brands are 400 ml cans (13.5 fl. oz. ), which are full-size cans, instead of half-size cans like the one you used. As an interesting side note, I ended up making the cheese using a full-size 400 ml can of coconut milk, and it worked out quite well. In fact, I’m kind of wondering how you had enough substance with only 165 ml of milk, since this is the main ingredient in the cheese. As it was, I did not end up having a huge amount of substance, but rather enough to make a decent sized wheel. I apologize, you are correct, it was a 400 ml can. I searched for an image on Google as I don’t have one in my pantry currently and it showed me the half size can! My mistake. It should make about a 2 cups of cheese once finished. This is super yummy and goey and satisfying! But it’s pretty sweet from the coconut milk. Do you have any ideas on how to make it more tangy and savory? I’m not vegan. Just seeing if my children would feel better off dairy. Could I use gelatin and would it be the same amount as of agar? Probably yes, but I have never used gelatin so I’m not sure the ratios. Would homemade coconut milk work? ONE question… the ingredient list says 2 teaspoons agar agar, but under one of you photos you mentioned 1.5 tablespoons… thanks for this recipe! It looks delicious and can’t wait to try it. Does it taste like cheddar cheese? No, I would compare it to provolone. However I no longer make this recipe, see my updated cheese recipes on the blog. 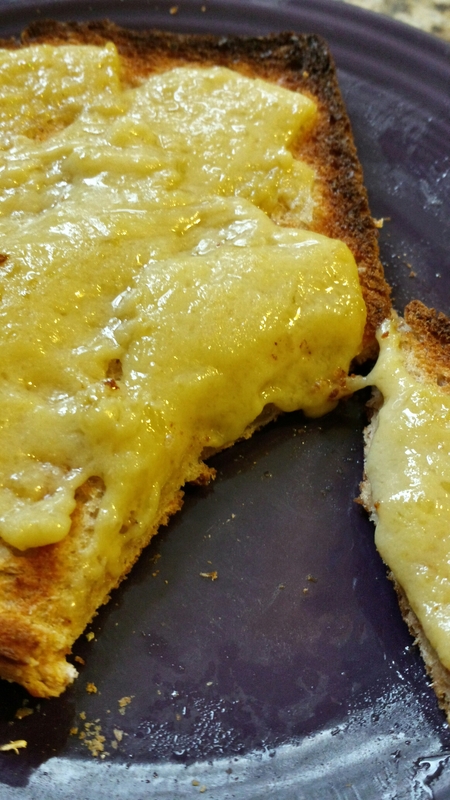 A friend of mine made it and shared the result with me and after tasting it I thought it tasted like provolone, even though I haven’t had it in at least 40 years! 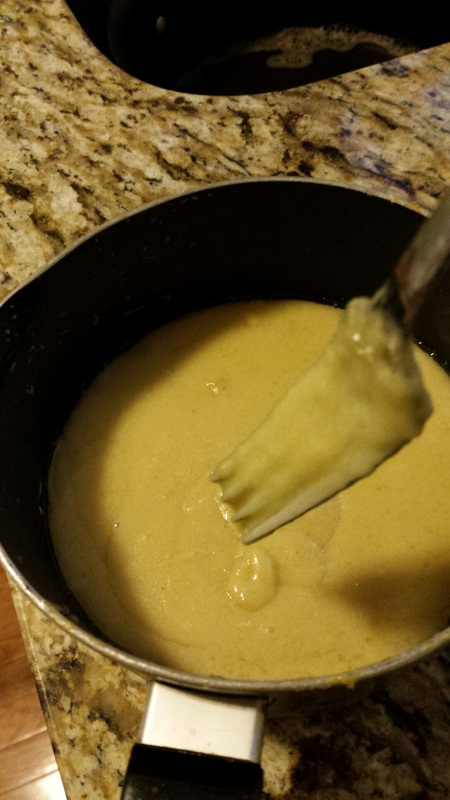 Now my friend shared the link to the recipe and I see you compare it to provolone in taste! 😊😊😊 Pretty impressive results! Thank you for sharing the recipe! Which recipe is the updated one on the blog? Either of the aquafaba ones, cheddar or mozzarella. If it’s the refrigerated kind it will be too thin to use for this recipe. Looks amazing! Will corn starch work as well? Or must it be tapioca starch to get the right consistency? Cornstarch could probably work as well! I tried a cashew mozzarella recipe, and while the taste was ok, I didn’t care for the texture. I’ll save this recipe and check out your new ones 🙂 Thank you so much, giving up cheese wasn’t as much of a loss as I thought it would be, but it would be nice to have an acceptable substitute. Yes, two teaspoons of powdered agar agar is plenty for about 2 cups of cheese. Agar agar can come in several different forms but the powdered is the most concentrated.